David and Goliath are once again at war. In this modern-day version, David is a small business, and Goliath is a vast conglomerate with unlimited resources. Goliath has stolen David’s intellectual property – and despite the fact that David is in the right, he can’t afford a courtroom battle on his own. But it can bring investors like you market-beating returns. And then there’s the biggest expense of all: legal fees. But for the victor, the payouts can reach millions, or even billions, of dollars. So it’s no surprise that financiers from Wall Street found a way to get involved. If David loses, the financiers lose their money – but if he wins, the financiers keep a big chunk of the profits. It’s like venture capital for lawsuits. As an example, on one winning case last year, Burford made 52 times its money. Overall, its return on capital for the year was 60%. The thing is, because funds like Burford have such large pools of capital to allocate, they typically invest in large cases – cases that require millions of dollars. But where does that leave smaller cases – ones like David’s? Historically, a small company that’s been wronged would have to give up its fight, or settle out of court – often, for just a fraction of what the case might be worth. 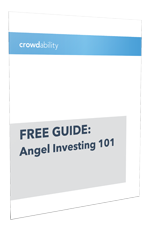 Basically, many individual investors like you each contribute a small amount of capital. The capital is pooled together to fund a specific litigation case like David’s. If David loses the case, you lose your money; but if he wins, you share in the proceeds – just like the big Wall Street firms. LexShares was founded by Jay Greenberg, who previously ran Deutsche Bank’s technology investment group, and Max Volsky, an attorney with an expertise in lawsuit funding. It focuses on cases where plaintiffs need $100,000 to $1 million to fund their business litigation – cases that are too small for the Wall Street firms. To manage risk, LexShares only takes cases that meet certain criteria – for example, cases with strong legal merit, a clear timeline to resolution, and a successful attorney already signed on. LexShares only got started late last year – and lawsuit investments typically take 2 to 4 years to generate a return – so it doesn’t have a track record yet. But Max Volsky has a track record – it’s from a litigation finance fund he founded previously. In brief, Volsky oversaw more than 10,000 investments in legal claims, and his annual rate of return over the past ten years exceeds 50%. In practice, that means a $100,000 investment in a case that settles within a year must pay out $150,000, while a case that takes four years to resolve would need to pay out $506,250 – for a 406% return. To attract investors like you, LexShares lets you invest in cases of your choice (the investment minimum is $2,500), and it charges no upfront fees or management fees. LexShares only makes money if you make money – it keeps 20% of any profits. From Start-ups and Hedge Funds, to Real Estate and Oil & Gas deals. Now, with LexShares, investors can access returns from commercial litigation. And remember: thanks to “Reg A+” of the JOBS Act, all investors, regardless of their wealth or income, will soon be able to invest in many of the private deals we write about at Crowdability. Please note: Crowdability has no financial relationship with LexShares, or with any company mentioned in this article. We’re an independent provider of education, information and research on start-ups and alternative investments.